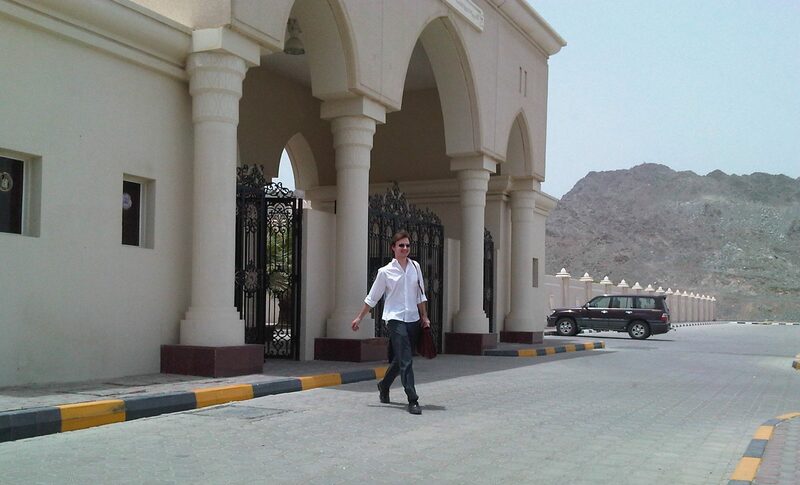 DSOA and Imdaad Organize Be’ati School Programme at Indian International School. Dubai-UAE: 04 April, 2016 – Dubai Silicon Oasis Authority (DSOA), the regulatory body for Dubai Silicon Oasis (DSO), the integrated free zone technology park, in partnership with Imdaad, a leading provider of integrated facilities, environment, and energy management solutions in the GCC region, recently hosted the ‘Be’ati School Programme at the DSO based Indian International School (IIS). Be’ati, which means ‘My Environment,’ is Imdaad’s flagship corporate social responsibility initiative that was rolled out in 2009. 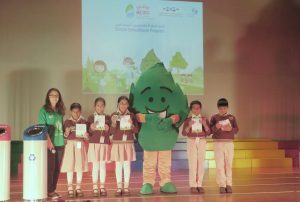 Since then, the programme has been visiting schools in the UAE to host quizzes, short films and competitions for raising awareness on the significance of a sustainable environment. As part of the initiative, concepts such as waste segregation at source, recycling, reducing carbon emissions, and preserving natural resources to make the earth a clean and green planet are given particular emphasis. Imdaad has set a target of educating and transforming more than 30,000 school children into active partners of environment preservation for the benefit of future generations. The latest edition of the green campaign was conducted in two sessions and included tailor-made fun activities for more than 500 students from Grades 3 and 4 of the Indian International School. Through interactive presentations, Imdaad and DSOA illustrated thebenefits of environment-friendly practices and a green lifestyle. Khaddour, the fun-loving leaf character and the mascot of Be’ati was also present to encourage and motivate the children to adopt eco-friendly waysincluding recycling as a daily practice. Imdaad, a multi-awarded, fully integrated facilities, environment, and energy management solutions company in the GCC, is owned by the Investment Corporation of Dubai, the investment arm of the Government of Dubai. It provides turnkey solutions under Hard and Soft Facilities Management (FM), Waste and Environment, Power and Energy portfolios and is recognised in the market for its innovative, professional, and quality-driven services. Imdaad also offers 24X7 home maintenance service under its HomePro portfolio. The company has received several prominent industry awards and recognitions, including ‘Green Facility Management Organization of the Year’ at the 2015 Emirates Green Building Council (EGBC) Awards and the ‘Sheikh Khalifa Excellence Award (SKEA), among others. Corporate social responsibility (CSR) is a core value for Imdaad and its community-focused programs such as Be’ati (My Environment) – a flagship CSR initiative and Khaddour – the fun-loving green leaf character, reinforces its strong commitment to environmental sustainability.